The elderly Residents of Holy Family Residence will benefit again this year from a professional musical production. Last year’s production of “Nunsense” was such a huge success for Holy Family Residence that the Little Sisters of the Poor are bringing the sequel, “Nunsense II: The Second Coming,” to their Home in Scranton. Our Cabaret Productions will present Dan Goggin’s off-Broadway smash hit musical comedy “Nunsense II” on Saturday, Aug. 5 at 7 p.m. and Sunday, Aug. 6 at 2 p.m. at Holy Family Residence (2500 Adams Ave., Scranton). “We are so pleased to welcome back the cast and crew of Our Cabaret Productions to our Home,” said Jackie Galvin, director of development and communications for the Little Sisters of the Poor at Holy Family Residence. 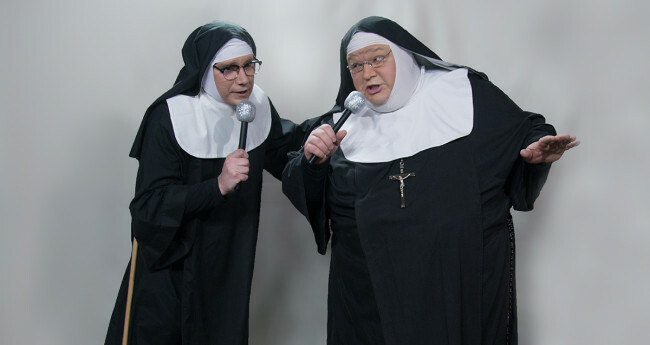 This event is a collaboration of two “Nunsense” veterans, Rob Misko and John Baldino, who have been involved in productions of the show for over two decades. Baldino produces and Misko directs. No production team in Northeastern Pennsylvania has more experience with the “Nunsesne” franchise, and Our Cabaret Productions is the only professional production company in the region to mount this acclaimed musical comedy. 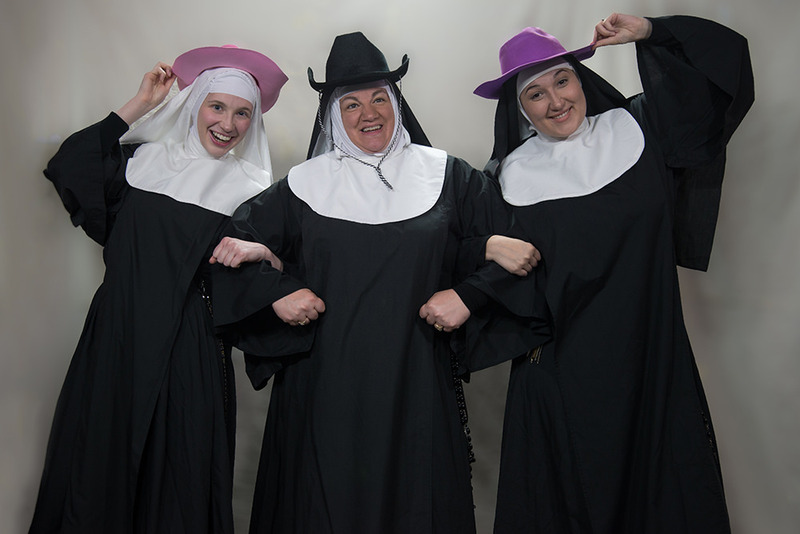 “Nunsense II” takes place one year after the Sisters have staged their first benefit. The sisters are back presenting a thank-you show for all the people who supported them in the past. But now, they’re a bit slicker, having been “bitten by the theater bug.” The show stars Misko as Reverend Mother and Baldino as Sr. Mary Hubert. Completing the cast are Sarah Wagner as Sr. Mary Leo, Christine McGeachie as Sr. Mary Paul (Amnesia), and Taylor Patullo as Sr. Mary Robert Anne. Tickets for the show, which are $20 in advance or $25 at the door, are available at ourcabaret.com or by calling the 24/7 toll-free box office at 1-800-838-3006. Seating is limited, so advance tickets are highly recommended. “Nunsense II: The Second Coming” is produced by Our Cabaret Productions through a special arrangement with Tams-Witmark Music Library in New York City. All net proceeds will benefit the Little Sisters of the Poor.